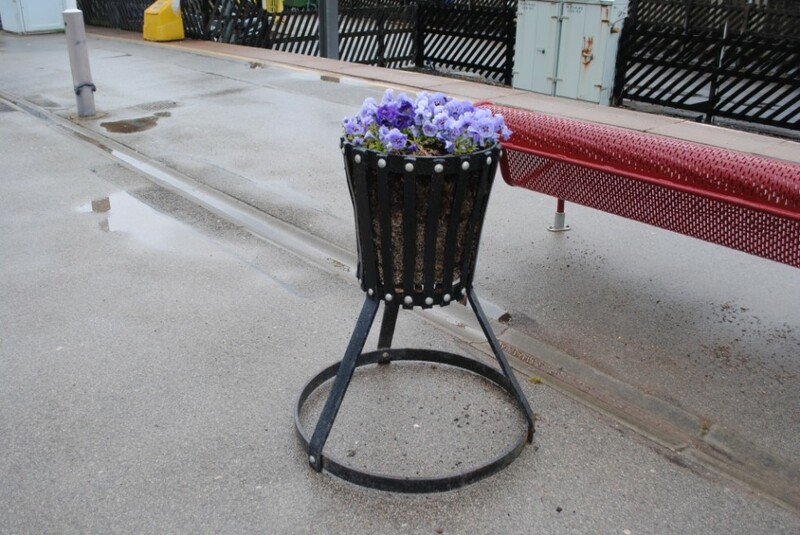 Skipton railway station serves the town of Skipton in North Yorkshire. 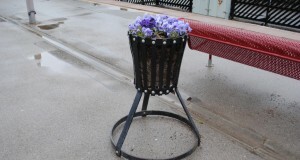 The station has four platforms and links Skipton to Leeds, Bradford, Carlisle and Morecambe. 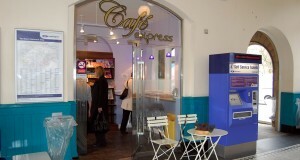 It is staffed on a part-time basis and a ticket office is available at most times. 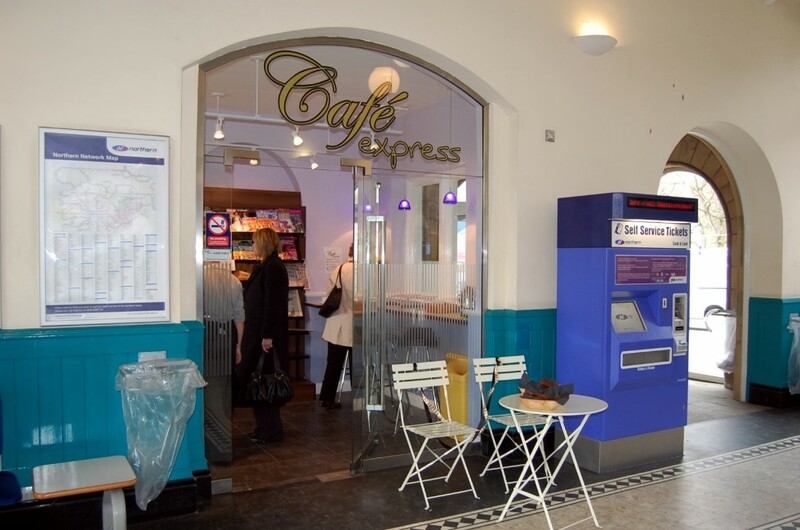 There are four seated waiting rooms available and luggage trolleys, along with a small café, toilets, a post box and a pay-phone. The original station was opened on 7 September 1847 by the Leeds and Bradford Extension Railway, as a temporary terminus of its line from Bradford.The line was extended to Colne a year later on 2 October 1848.Initially, passengers would leave the train at Skipton for onward travel to the villages of Wharfedale by horse-drawn coach. There are still over 20 hotels clustered around the station, including the historic Herriots Hotel (formerly the Midland Hotel). 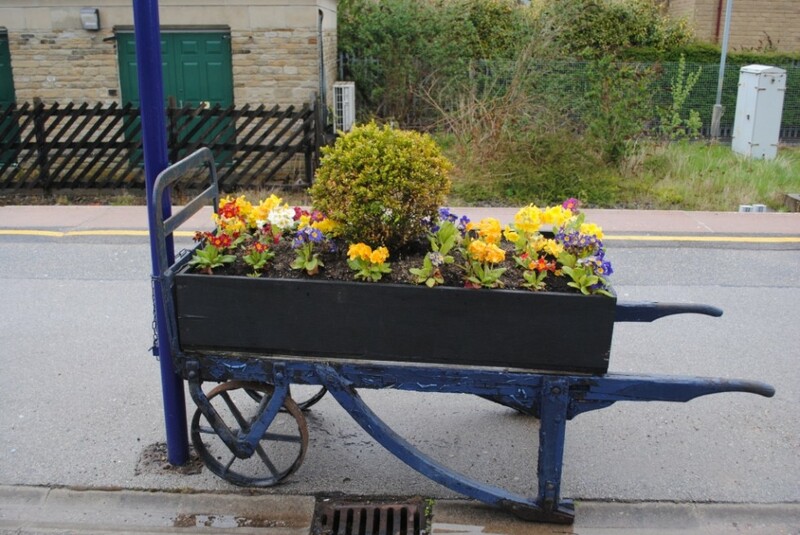 The next year, the ‘Little North Western’ Railway opened a line from Skipton to Ingleton on 30 July 1849 (which was eventually extended to Lancaster and Morecambe in 1850).On 30 April 1876, Skipton station was relocated a quarter of a mile northwest of its original location. By now, both the Leeds and Bradford and North Western railways had been absorbed by the Midland Railway. 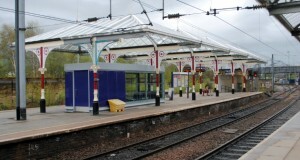 The new station coincided with the opening of the Midland’s Settle-Carlisle Line, which made Skipton a station on the London St Pancras to Glasgow main line. 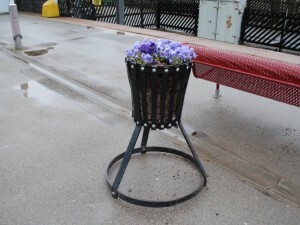 On 1 October 1888 platforms 5 and 6 were added to serve the Skipton to Ilkley Line, which opened that day. These platforms were at a slightly higher level on a rising gradient, as the new line ran southwest of the existing line and then crossed over it by bridge eastwards. 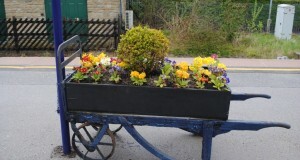 These platforms were also later used by the Yorkshire Dales Railway, a short branch to Grassington from 1902 to 1930. Passenger services to Ilkley ceased on 22 March 1965, after which platforms 5 and 6 were closed to passengers and their access subway was bricked off. The line to Colne closed on 2 February 1970 and its tracks have since been lifted. 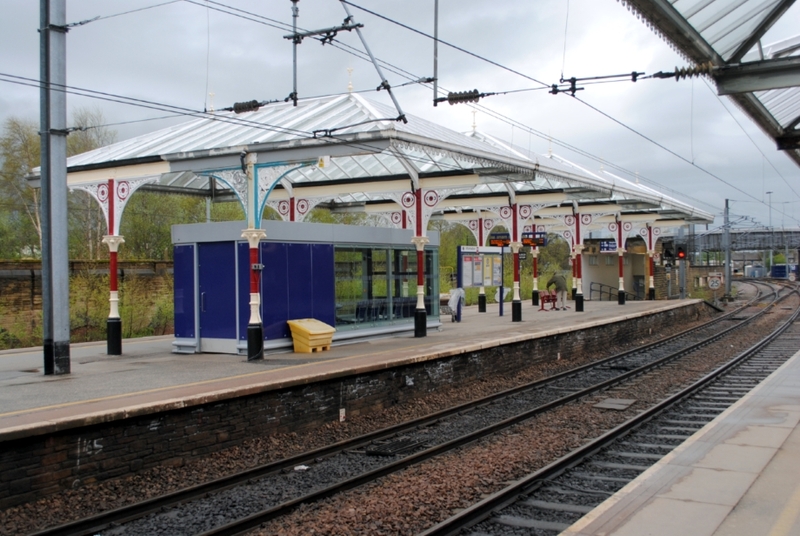 An organisation called SELRAP is campaigning for the re-instatement of the link and runs occasional charter trains between the two stations, using a long diversionary route to point out the eleven mile ‘missing link’. SD 983513 – for a map visit www.streetmap.co.uk and enter the grid reference.